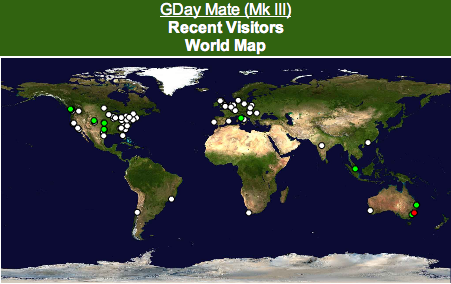 G'day Mate: Where are the kiwis? Oh, and in case you were wondering, the single most popular post of all time is Harry Potter #7 with 20 comments. The main theme of the post (and the comments) revolve around the question of Harry being a horcrux. I thought your most popular entry was Under a Kilt - that is how I found you.